An essential ingredient of Mike Stidham’s continued success is his ability to identify at the sales affordable horses who go on to repay their price tag multiple times over. His resume is littered with examples. High on the list is Upperline – one of Stidham’s most successful race mares. Upperline was brought for a song as part of a four-horse package of yearlings, two of whom also won, including U Appeal To Me who finished second in the Grade III Arlington-Washington Futurity. But Upperline was the star of the group. Her nine career victories included seven stakes wins, three of which were in Grade III company. She also enjoyed multiple placings in Grade I and II company. Throughout four seasons of racing, Upperline was highly tried, and her toughness and soundness was a testimony to Stidham’s expertise in keeping horses in tip-tip physical and mental shape throughout extended careers. She retired with career earnings of $772,988. in a fitting postscript, Upperline was sold in foal to War Front at auction last year where she fetched $1.75 million for her group of owners. Another name to consistently hit the headlines was Willcox Inn – the millionaire-maker who now stands as a stallion in New York at Saratoga Stud. Willcox Inn was brought for a modest $50,000, and collected multiple graded stakes during a long and fruitful career, including a Grade II triumph in the American Derby in 2011. He was also Grade I placed as a two, four and five-year-old. What is more, Willcox Inn amassed an incredible $1,015,543 in career earnings. Now that’s some ROI! Horses-in-training sales have proven particularly fruitful venues for Stidham to purchase affordable and un-raced young horses. 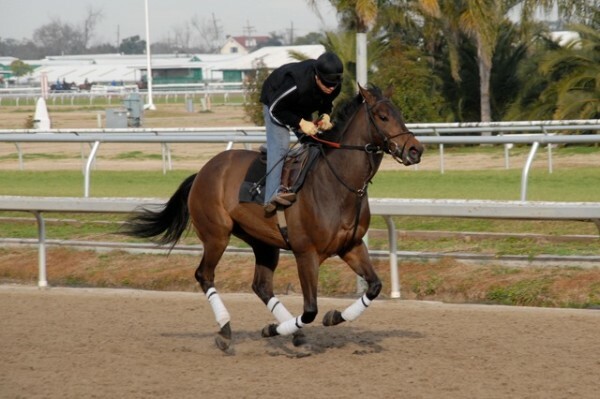 Culinary is one of Stidham’s most prolific horses-in-training graduates. During a distinguished career, Culinary won five races, including a victory in the Grade III Arlington-Washington Lassie Stakes in 2004. After costing just $25,000 at the sales, she ended up with $271,680 in the piggy-bank. Ground Transport is another horses-in-training graduate purchased for peanuts. Still running today, Ground Transport has thus far amassed $327,059 in career earnings. During 2013, he ran fifth in the Louisiana Derby, while in 2014 he has proven a revelation, picking up two stake-race victories amid a number of highly lauded graded stake-race performances. With a discerning eye for a bargain and an enviable track record at producing winners, it’s inevitable that Stidham has forged long and prosperous relationships with many of his owners. He has also proven especially adept at putting together partnerships between new and existing clients – finding the right horse and syndicate to suit an owners’ individual aspirations. What is more, unlike many trainers, Stidham is willing to put his cash where his mouth is, and he routinely invests his own money in the young horses that he purchases. 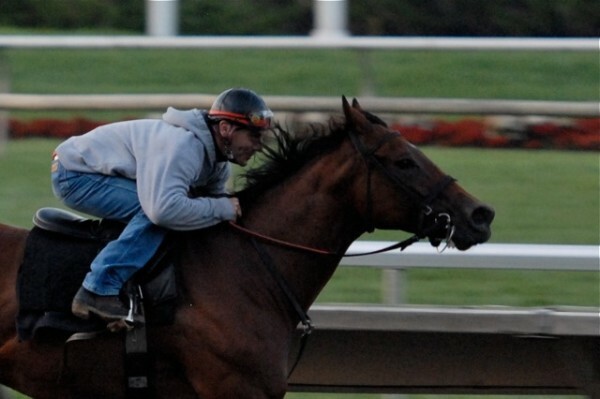 Sandburr was already a seven-year-old with 38 races under his belt when Stidham claimed him in April, 2006, for $20,000. But under Stidham’s care, Sandburr flourished. He won another eight races, including four in stakes, and he picked up a whopping $400,000 for Stidham. 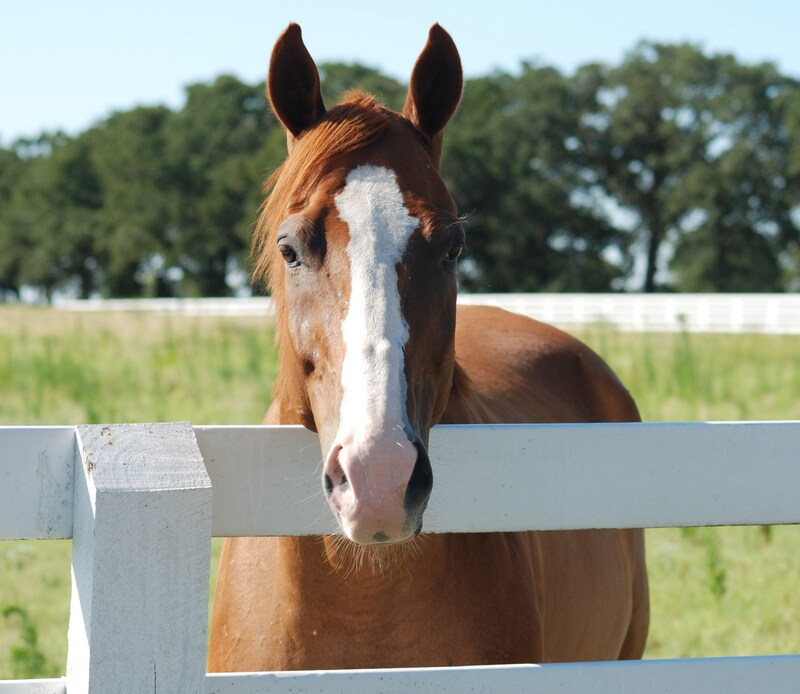 During his career, Sandburr enjoyed vacations at Kathy Volkmans farm in Fort Worth, during which time she fell in love with him. When Sandburr retired age ten, Kathy insisted that he spend the rest of his years at her farm. He’s loving his well-earned retirement, and spends much of his time playing with Kathy’s grandchildren. Intrinsic Worth spent the early part of his career under Stidham’s watch, but after being claimed, he passed from trainer to trainer, each time suffering a further decline in form. By the time Stidham was reunited with his old friend, Intrinsic Worth was seven years-old and in terrible physical condition, barely able to walk. His problems were so severe, it took a year before he was again able to walk properly. Appalled by what he saw, Stidham rescued Intrinsic Worth and sent him to Peggy Flemming’s acupuncture center in Florida where she worked on him for free. And when he was once again fighting fit, Intrinsic Worth started a new career at Frankie Lovato’s disabled riding program in Ohio: Stampede of Dreams.